Home \ Beauty & Fashion \ Jimmy Fallon & Justin Timberlake for President??! Jimmy Fallon & Justin Timberlake for President??! 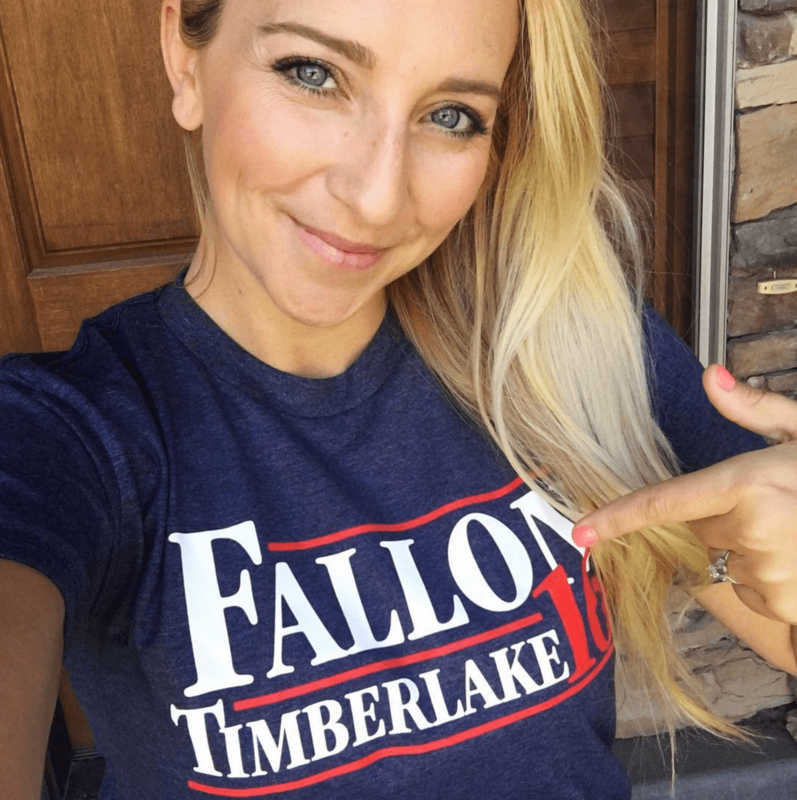 Everyone is asking where I got this super fun Jimmy Fallon & Justin Timberlake for President T-Shirt from my Instagram post. I found the shirt over on Zulily a couple months ago. But since sales change everyday and it isn’t there anymore, I did a little looking around and found it over here. That seems to be the lowest price I can find! So there you go! **If you haven’t watched my “Who I’m Voting For” Video over on YouTube, head on over and watch it. Products Mentioned in My Bathroom Tour Video!